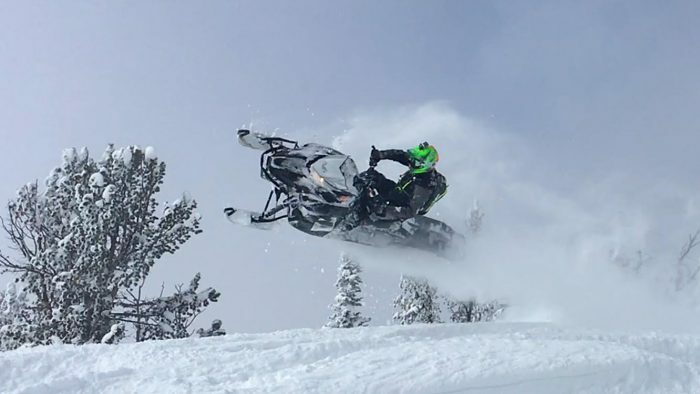 Searching out untracked snow nearly proved disastrous for a Minnesota snowmobiler recently. John Menssen rode up a chute north of Hebgen Lake, turned around and was sashaying downhill when he stopped to see where his partner was located below. Looking uphill he saw a wall of snow coming his way, an avalanche. Menssen had just seconds to activate his avalanche airbag before being swept downhill, his snowmobile still underneath him but invisible in the tumbling snow.